A new report from NanoMarkets predicts that new opportunities are rapidly emerging in the conductive coatings market as the result of new applications and novel materials. 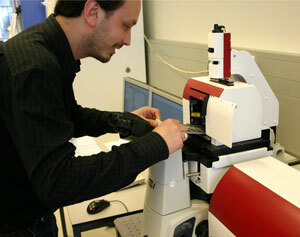 JPK Instruments, a world-leading manufacturer of nanoanalytic instrumentation for research in life sciences and soft matter, is pleased to announce the installation of its unique NanoTracker optical tweezers system in the laboratory of Dr. Remus Dame at Leiden University. Innovative Silicon, Inc., developer of the Z-RAM zero-capacitor floating body memory technology, and Hynix Semiconductor Inc. announced today that Hynix will deliver a paper titled 'Highly scalable Z-RAM with remarkably long data retention for DRAM application' at the 2009 Symposium on VLSI Technology. Applied DNA Sciences validates use of SigNature DNA in laminates used in government identification cards and other secure documents. 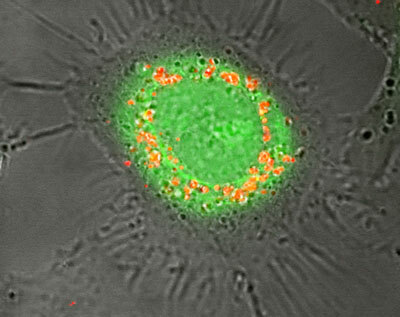 Researchers from Abo Akademi University and the University of Turku in Finland have discovered that the stability of functionalised nanoparticles is crucially dependent on all functional groups present on the surface. OrthoMEMS, a medical device company focused on biomedical applications of patented MEMS and wireless technology, today announced that it has been granted an exclusive option from Cleveland Clinic to expand its license to include all fields of use. QD Vision, developer of nanotechnology-based products for lighting and displays, today announced it has been awarded a Small Business Innovation Research (SBIR) Phase II contract by the U.S. Army as part of its Night Vision and Electronic Sensors Directorate. Luxtera, a provider of Silicon CMOS Photonics, announced its collaboration with Freescale Semiconductor as its foundry source to achieve production of the world's first commercial Silicon CMOS Photonics semiconductor manufacturing process. EV Group, a leading supplier of wafer bonding and lithography equipment for the MEMS, nanotechnology and semiconductor markets, today announced that it has launched an all-new EVG501 wafer bonding system to address rising cost burdens for its university and R+D customers. Am 16. Juni praesentiert Marco Beckmann, Vorstand und Gruender der Nanostart AG, die Nanostart auf der RedChip Small Cap Investor Conference in Fort Lauderdale, USA. SolarBotanic has inked a major joint-venture deal with the renewable energy company GREENgENERGY, Inc. to fund the R+D phase for the company's patented energy harvesting artificial trees. Onto surface modification technology facilitates breakthrough in adhesion for inert and low-surface energy materials including PET and polyimide polymers. Research and Markets has announced the addition of 'Global Market for Nanoclays and Nanofillers' report to its offerings. Uncertain financial climate a concern but not a barrier to innovation in the region, applicants say. The order for the tool was received in the first quarter of 2009 and will be delivered in a 2 inch wafer configuration. Picosun Oy, Finland-based global manufacturer of state-of-the-art Atomic Layer Deposition (ALD) systems, organizes its first ever World Forum in the Greater Helsinki area of Finland from June 9th to 10th.